As a wedding photographer, my sole purpose is to capture the type of images that will transport my couples back into the moments that defined their nuptials. I take that responsibility seriously. Whenever I photograph a wedding at Club Lake Plantation, I breathe a sigh of relief because I know that no matter what happens it will end up perfect. Club Lake Plantation is an intimate setting that has space for a lot of partying. It’s a photographer’s playground because there are so many picturesque spots within a short distance. I know that I can capture my couples in an assortment of backgrounds without breaking a sweat. There is no detail left unnoticed. From the bridal suite, the fun barn, to the groom’s man cave, everything ties together and makes it so much fun to photograph. However, the best part of Club Lake isn’t the oak trees, horses or the incredible light that always shines in the afternoon, it’s the people. Whenever I work there, I feel at home because the owners and staff are warm, inviting and passionate about creating a space where love can flourish. I have seen their staff step up over and over again to make every couples wedding day just as perfect as they imagined it. This is why I always tell my brides about Club Lake Plantation and I simply cannot wait to go back to photograph each and every time. We absolutely loved our experience with Club Lake. The venue itself is gorgeous, and many of our guests complimented on its natural beauty, as well as the many areas in which guests could hang out and linger. I loved that it wasn’t totally limited to one banquet hall, but rather had a fire pit area, a cocktail area, the barn overhang/dining and dancing area, and the ceremony area all completely separate within the one big property. Absolutely beautiful. Natalie is who I worked with most often, and is really a joy to work with, very accommodating and understanding, very willing to explain any answers to questions we have, walk us through various aspects of the venue, and sit with us without making us feel rushed at every visit we had. The other staff members were always friendly and helpful when I interacted with them. I would recommend this venue to anyone, and we would definitely do it all over again here if we could!!! A dream day, and club lake helped to make that possible. My wife and I had our wedding at Club Lake Plantation recently and we absolutely loved it!! If I could give 6 stars I would. The staff bent over backwards to make sure we didn’t stress out on the big day, the venue was pristine (as it has been each time we saw it). I would highly recommend this place to anyone looking for a venue! Beautiful venue!!!! All our guests just loved the venue and the beauty it has to offer! Wonderful staff! Club Lake Plantation was great as our wedding site for a wonderful day. Natalie and her team did an excellent job in every step in the planning process. The venue absolutely beautiful and it couldn’t have been a more perfect day. My fiance and I knew as soon as we saw the property that we had to have our wedding at Club Lake. Natalie was a dream to work with during our planning and our day couldn’t have been any better. It was absolutely wonderful and all of our guests kept telling us how beautiful the venue was. 10/10, I would recommend CLP to any future bride! Club Lake Plantation was the absolute best choice for our wedding. The location is beautiful and has the rustic chic look that is so popular these days. It is only about 30 minutes from downtown Orlando, so it’s an easy commute for out of town guests. Natalie and her staff were very helpful in setting up our event. I highly recommend it to any couple searching for an event venue. Club Lake Plantation is a hidden gem! I got married there last week, and I still have people reaching out to me inquiring about this venue. The best thing about CLP is that it provides such a beautiful blank canvas of outdoor rustic scenery combined with a cozy reception area, you can transform it into anything your heart desires. Not to mention, they offer package deals that ultimately save you so much time and hassle of searching for vendors by already including great vendors (florist, wedding coordinator, catering company, etc). I had the pleasure of working with Natalie, who manages the venue. She was prompt, professional, answered all questions almost immediately through text or email, and mostly – made me so comfortable in knowing that I could bring all my wedding day visions and ideas to life. The ceremony (which is located under big, beautiful oak trees) , the reception (a half indoor, half outdoor barn-like setting with lights strung above) and cocktail hour are all within walking distance from each other. No need to commute by transportation. Thanks to this laid back, yet hard working group of individuals – my wedding day was the most incredible day I could have ever dreamed of. Not just an amazing venue, but we were treated like a family there! I was struggling to find outdoor space for ceremony and indoor space for reception. I googled “Beautiful outdoor wedding locations in Orlando” and Club Lake was on the top 10 list. I called there, and they not just answer the phone but invited me to stop by in the next hour. Natalie had 30 minute window when she took her time to show me around and go over packages. The minute i walked into the venue I was amazed by the nature, beauty of the layout and welcoming atmosphere from all stuff. I knew i found the perfect hidden gem in Apopka. Natalie, Rachel and Carol were always there for us: unswerving on our phone calls and emails. Having everything included in one package price gave us peace of mind. All vendors that they recommended were very professional and punctual. Our wedding was amazing. Guests kept asking us how did we find this venue. I want to thank all of you guys for making our special day a dream come true!!! You all are an amazing example what is real customers service is and when a dream business is a true pleasure. We absolutely LOVED Club Lake Plantation and everyone that was apart of our special day. I started working with Natalie in the beginning and being out of state while trying to secure a fall wedding date was no easy feat but she was beyond accommodating and worked with me to make it happen! Any time I had a question she was always available to help me. Every step of the way I was at ease because I knew their team had everything under control. Again being out of state I had concerns about decor and set up because I wasn’t in town until the week before and couldn’t physically have my hands on anything but they just listened to my ideas and my vision and just knocked it out of the park. The venue itself is just absolutely stunning. Every guest of ours commented on how beautiful the property was, the ceremony space with the large trees, the reception space with the chandeliers, just everything was amazing. We cannot recommend this venue, Natalie, Carol, the entire staff enough. I am still gushing over how beautiful my wedding was because of Club Lake Plantation. We received so many compliments from our guests and my memories from the day of, I couldn’t have imagined it any better. We can’t thank Natalie enough for being so accommodating and she really made sure that our every need and expectation was met. From the beginning, she made us feel very comfortable that we were choosing the right venue and the packages offered were fully customizable to give flexibility on which vendors were used. Also, Carol and Randy the owners of the property were very helpful and there every step of the way making sure the property was set up to meet our needs and more. We used Foodie for our catering and the food turned out delicious along with the hospitality from the Chef himself and his team. Our DJ Rocks was the life of the party and Cierra did SO amazing! Rachel was a tremendous help in deciding on our decor and our planner, Morgan, from Bella Sposa events was so helpful before, during and after our wedding. We can’t thank everyone enough and highly recommend this to anyone considering doing an outdoor wedding because the property is gorgeous! We absolutely loved Club Lake Plantation for our fall wedding. The packages really appealed to us with the usage of various areas for all parts of the wedding. Rachel was an amazing help from picking out decor for ceremony, cocktail hour, and reception. She was super organized and willing to help out at any moment. I would highly recommend if you’re looking for a laid back, friendly, and beautiful venue! My Wedding Day at Club Lake Plantation was more than I could have ever dreamed of. I chose Club Lake initially because their packages really appealed to me. They include just about everything you need and the vendors they work with are amazing. I used Foodie Catering and Orlando Flower Market and not only were they both friendly and helpful, they made planning so easy and the execution was beautiful and delicious. You don’t even really need a ton of decorations because the decor is already so beautiful but Rachel has some beautiful pieces that can really enhance the aesthetic you’re going for. I was doing a fall theme and Club lake even offered to help me with pumpkins and Orlando Flower Market helped me with real leaves, they go above and beyond to make sure you have the wedding you and your partner want. For my coordinators, I had the pleasure of working with Bella Sposa Events and Jennifer and her team are simply amazing. She has a way of making you feel so calm and her organization is beyond impeccable. I truly feel that she and her team made the day. From the planning to the execution, Club Lake made the entire process pretty stress-free and they really focus on making your wedding day, yours. The packages are customizable and they’ll work with you on making your special day everything you’ve dreamed of– and more! I couldn’t recommend Club Lake Plantation more. We had the most perfect wedding at Club Lake Plantation! The grounds are stunning and the huge oak trees are so impressive. The venue itself has everything you need and the details they have added to the facilities are beautiful – tons of drapes, chandeliers, and a stock pile of rental items if you need anything extra! Choosing Club Lake Plantation as our venue was the best decision we made during our wedding planning process! Natalie was very helpful throughout our entire process and was always quick to respond to any questions we had. The venue site is breathtaking and the vendors are amazing. I 100% recommend Club Lake Plantation to any couple looking for the perfect spot! I couldn’t have been happier with this venue. This was the first and only venue I looked at when I was searching and fell in love with it right when I saw it. The place is so beautiful and can’t wait to see all the picture we took with the amazing views. The people helped us so much to make sure there was nothing to worry about day of. If I could do it all again I would still pick this venue. Was a perfect day at a beautiful location. Such a beautiful venue! Club Lake Plantation had the backyard wedding feel we wanted. From the horses, to the beautiful brick house next to the alter covered with 100 year old oaks, such a fairy tale. The whole process was seamless. We had a great experience with Carol, Natalie, Rachel and Kayla. I had no stress and felt such at ease by the big day. I had my wedding a month ago and I literally keep hearing from my friends and family how gorgeous Club Lake Plantation was. They said “it was the best wedding they’ve ever been to!” From the food from Foodies, DJ Andy and just the natural beauty of the place (we barely decorated), it was truly wonderful. My husband and I said we would definitely do it all over again and not change a single thing. Thank you so much Club Lake for giving us the most beautiful wedding a couple could ever ask for! The venue was BEAUTIFUL!! My husband and I fell in love with it as soon as we scheduled our visit (we had 2 other venues lined up that we didn’t even WANT to see)!! The altar area was beautiful, and added a nice intimate touch with it being outdoors. We had 200 guests, and there was plenty of room!! The whole venue flowed and was super easy to navigate and the bar areas make so much sense! The reception hall was PERFECT! with indoor/outdoor access, the columns. I loved the venue so much, it was absolutely beautiful! So happy we were able to have our wedding at such a beautiful place! This was the first place my husband and I toured last summer and we knew that this was the place we wanted to get married!! Working with Natalie was such a sweet journey as she assisted me along the way and answered all my emails and phone calls as I was not local to the venue. She made sure everything was okay and going smoothly for me during the entire planning process. She made sure I was contacted by BellaSposa Events and my DJ and caterers and it was all great! Having our wedding here was the best day of my life! The natural decor of the space just spoke to my husband and I! If you are wanting a nice, rustic, natural feel then this is the place for you! Not only because of the gorgeous grounds, but the amazing team as well! Thank you for making our day so special and for all of your help along the way! I remember looking at wedding venues online and I saw a picture of the ceremony spot here and had no clue it was Club Lake Plantation, but after a little digging my best friend and I found what seemed like the perfect spot, however upon arrival it was more perfect than we could ever imagine. I wouldn’t change a thing about the venue location, the staff (shout-out to Natalie) for making my big day beyond perfect. The trees are what drew me in, and the accommodating staff is what sold me. The venue includes a DJ, a caterer, a florist and a month of coordinator and for a girl (like me) that is overwhelmed by the whole planning process this was perfect. I still got to choose from their recommendations but I couldn’t of asked for something more simple. 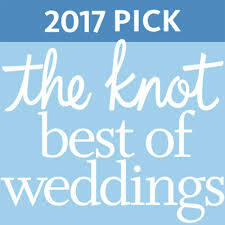 Each vendor worked with one another to really get to know their bride to customize the day. I even got to choose my floor-plan and signature drink. I feel spoiled being able to tie the knot at Club Lake Plantation. P.s. alot of my older guests told me they’ve been to tons of weddings in their life and our big day was by far the most beautiful they’ve ever been to from start to finish. We booked our wedding with Club Lake back in October 2017 and waited nearly 14 months for our wedding day, January 26, 2019! Since we booked, Club Lake has continued to make many positive upgrades and improvements to the venue. The ceremony space under the oaks is stunning and the reception space is the perfect balance of rustic elegance. If you’re looking for something “different” in the Orlando area, this is it. Their packages are flexible and are especially helpful if you’re looking for an all-in-one type of planning experience. All of the vendors they recommend/typically work with were excellent. At Club Lake, Natalie and Carol in particular are both great to work with and were quick to help rectify any small issues we encountered! Would definitely recommend Club Lake to anyone looking for a unique and beautiful outdoor/indoor wedding venue! From the first moment I stepped onto Club Lake Plantation’s beautiful property I knew it was the perfect venue for my daughter’s wedding. Natalie gave me the tour and was great to work with. When I brought my daughter and her fiancé back to see the venue they both had happy tears in their eyes. It was perfect and even better than they hoped for! The wedding day was magical and so many guests told us they’ve never been to a more beautiful wedding. We would recommend this venue 100% to anyone looking for a rustic venue with an outdoor ceremony space and indoor air conditioned reception space. I wish we could do the wedding day over again because it was so much fun and went by too quickly. I also had contact with Carol a few times and she was very helpful and caring. Thank you to everyone at Club Lake Plantation! From the beginning Natalie was always there to answer any questions or concerns we had. Planning a wedding is quite stressful but CLP made it so easy. We were married on a day where we had heavy rain so we had to move the ceremony inside. My wife and I were bummed out at first because the grounds of CLP are absolutely gorgeous but the team at CLP brought the look and feel inside and we couldn’t have asked for a better day to share with our loved ones. Thank you Natalie and the team at CLP for making our day magical!!!! !